Located 35 miles east of Los Angeles in the Inland Empire, the Ontario Airport services six million people living in San Bernardino and Riverside counties. It is the center of a quickly developing freight system that includes the airport, two railroads, four major freeways, and an expanding network of freight forwarders. Given the considerable distance, the Ontario airport is the farthest commercial airport from central Los Angeles. A taxi or shuttle trip will wear you out before you get to your flight, and you’ll still have to pay a considerable amount of money without receiving much customer service. 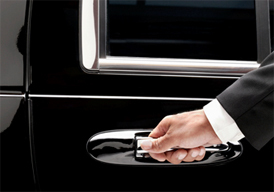 Ride in comfort instead and reserve your limousine to John Wayne Airport today. We deliver dozens of clients on a weekly basis in a safe and timely manner to and from ONT. We will pick you up on time, help you with your bags, and allow you to comfortably enjoy the ride in a luxurious vehicle.